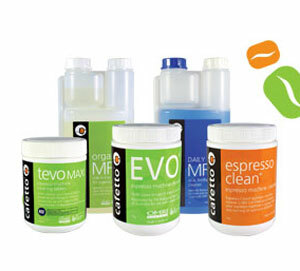 Coffee & Equipment supply Cafetto because it is a specialist manufacturer of cleaning and sanitation products for espresso, coffee brewing and dispensing equipment. Cafetto prides itself on developing innovative, thoughtful solutions and always keeping abreast of customer’s needs and industry trends, ensuring a clean machine every time. 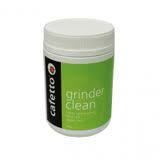 Cleans grinder burrs and casings, as well as removing flavoured coffee odours. 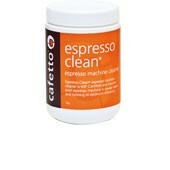 The premium espresso machine cleaner. Proven in the industry to give a fantastic clean. 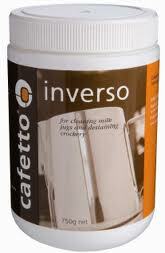 Guaranteed not to taint the coffee and is not corrosive to the espresso machine (NSF certified). 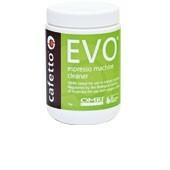 Worlds first certified organic espresso cleaner. Certified by two leading organic certification agencies, the OMRI in Portland USA and the BFA in Australia. A safe high performance cleaner, NSF certified for non tainting and non corrosion. A unique blend of ingredients that targets and removes dried on milk residues from jugs. A brilliant crockery restorer cleaning and destaining heavy soiling. 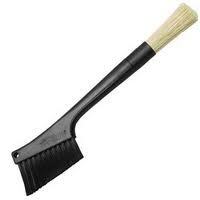 Premium cleaning brush with strong bristles for bench surfaces, fine bristles for brushing grinder parts. The Cafessi Swivel Action Head Coffee Machine Cleaning Brush is ergonomically designed to assist in cleaning the group head, shower screen spout and group seal. With its unique swivel head, this brush gets into every nook and cranny.